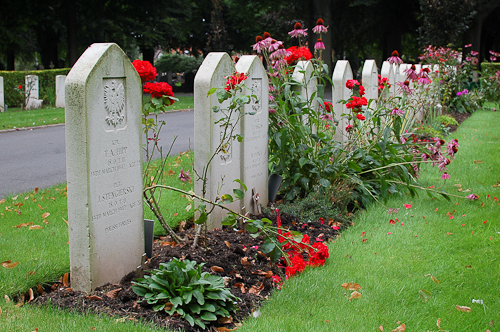 The cemetery at Nuneaton (Oaston Road), England, contains 29 Polish war graves which are under the care of the Commonwealth War Graves Commission. The graves are in a special war graves plot used for the burial of Polish armed forces. The burials were made in the years 1940 to 1942. The war graves plot containing Polish war graves. 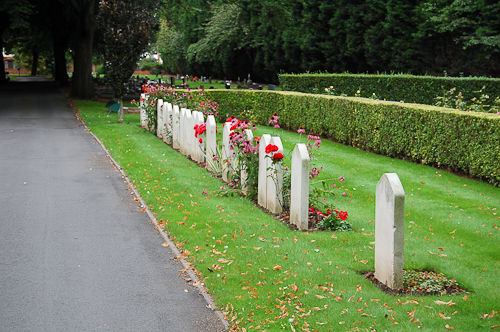 On the other side of the road is a plot containing British and Commonwealth war graves. 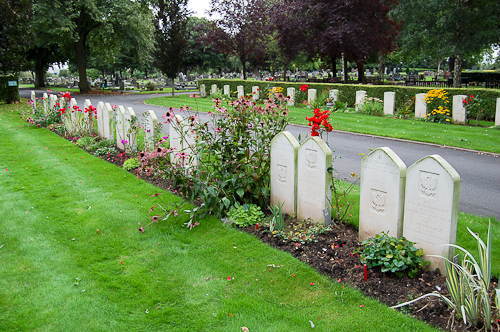 The Polish war graves plot as seen from behind. All the graves are of Polish airmen. The grave of Tadeusz Hipp and Jan Stengierski is on the left of the photograph. The photographs were taken on 31 August 2012. List of names and photographs of the Polish war graves at Nuneaton (Oaston Road).